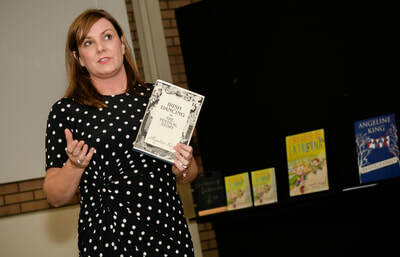 One highlight of the Irish Dancing book promotion was the BBC Radio Ulster John Toal show. You can catch the interview here. The interview begins 18:21 minutes in. *Beautiful* It’s brilliant * You’ve done an awful lot of research. *I imagine this will fly off the shelves * Great book and anyone with a passing interest in Irish dancing should read it. 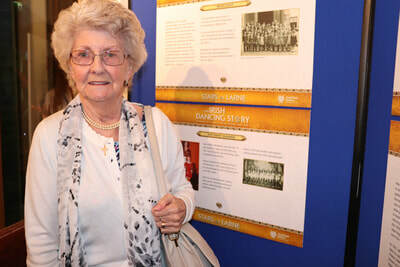 * John was delighted to see his dance teacher from Newry, Arthur Burns, in the Newry chapter. Thanks for having me John and team! 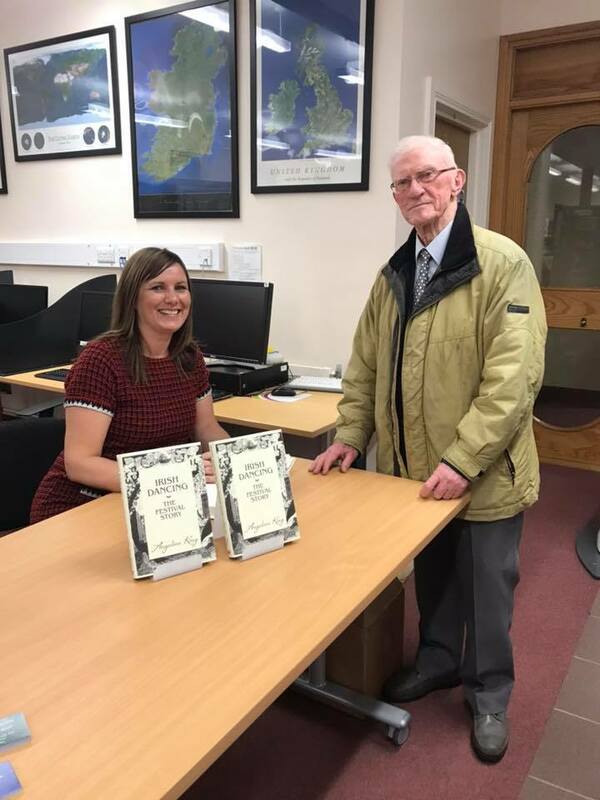 It was almost the book launch that didn't happen when a power cut hit Larne Library, but my brother Andrew and my old school saved the day. 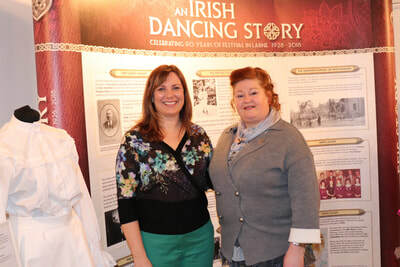 A lovely evening was had by all and it was special to see so many characters from the book, Irish Dancing: The Festival Story in the room. 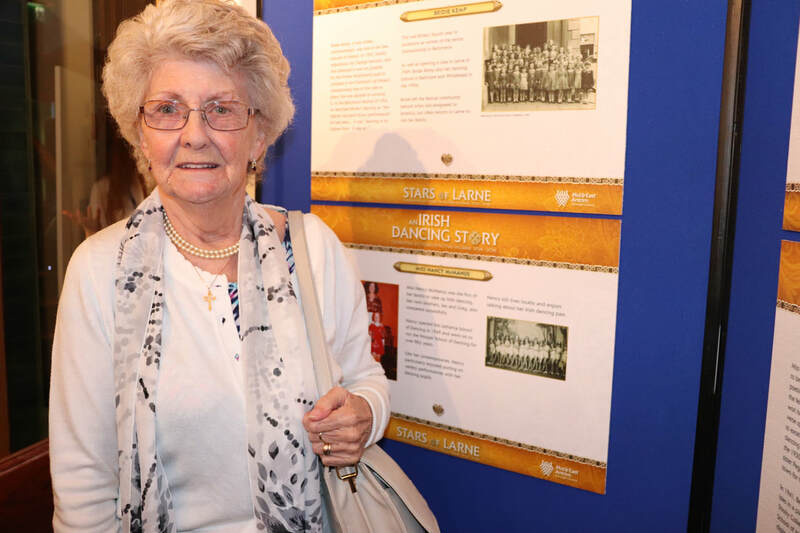 I finally got to meet the lovely Violet McConnell, whose aunt Agnes is considered to be the mother of Irish dancing in Ballymena. Thank you to Larne Library, the Lisa Dempsey School of Irish Dancing, Larne Grammar School and all my helpers. What a day! Ulster women might call this interview a quare oul yarn! Martin Percival, who danced on Riverdance and Dancing on Dangerous Ground was the principal dancer with Michael Flatley's Lord of the Dance and he is passionate about Irish Dancing and incredibly enthusiastic about the festival story. 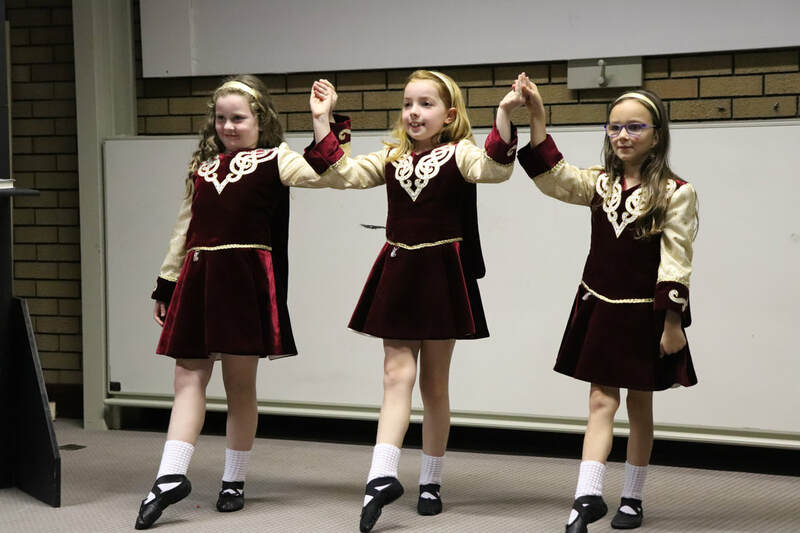 Check out Episode 24 of the Irish Dance Podcast by clicking here. Martin, it was a absolute pleasure. Thank you! The Mellon Centre, part of Libraries NI, is attached to the Ulster-American Folk Park in Omagh, and it was there that I launched Irish Dancing: The Festival Story. What a great place to launch the book! We truly stepped back in time with readings from transatlantic letters in thatched cottages redolent with the scent of the past and turf fires. My favourite moment was when Paddy McCoy began to tell a story about his sister, Anna McCoy. The very same story about the young boy wanting to wear his dancing costume in the Twelfth parade is in the book! I also learned lots from Valerie Wilson, Curator of Costumes and Textiles. The Irish Dancing exhibition at the museum is well worth a visit! 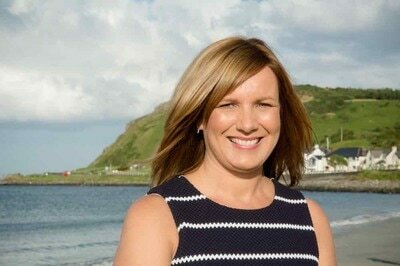 Thank you for the warm welcome to all involved from the National Museums NI and Libraries NI. The Irish Dancing Story Exhibition at Larne Museum in April and May was not so much a dream come true as something that I had never imagined initiating. I had a lot of fun researching, writing panels and gathering memorabilia. I am very grateful Marian Kelso, who bravely took on the project on behalf of Mid and East Antrim Council. 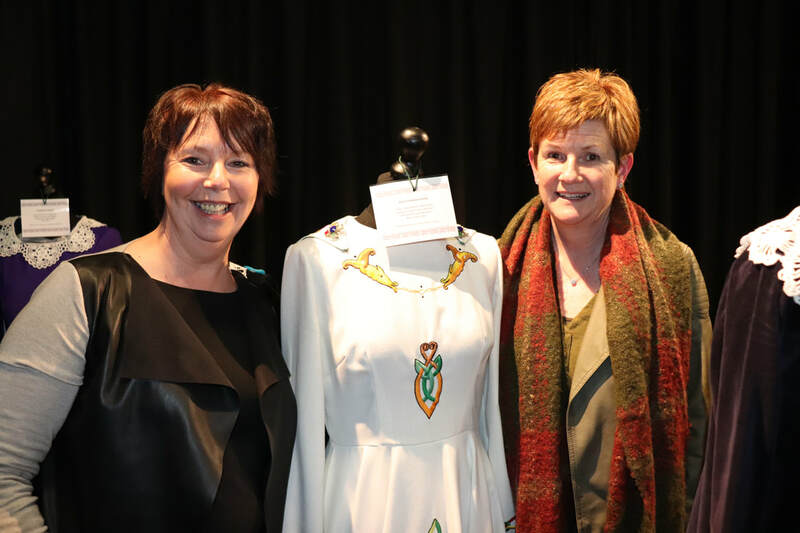 It was fitting in this special year for women that we both had the opportunity to celebrate some of the greatest champions of peace in Northern Ireland, those stoic matriarchs of the festival tradition of Irish dancing who crossed cultural barriers with a light double heart. 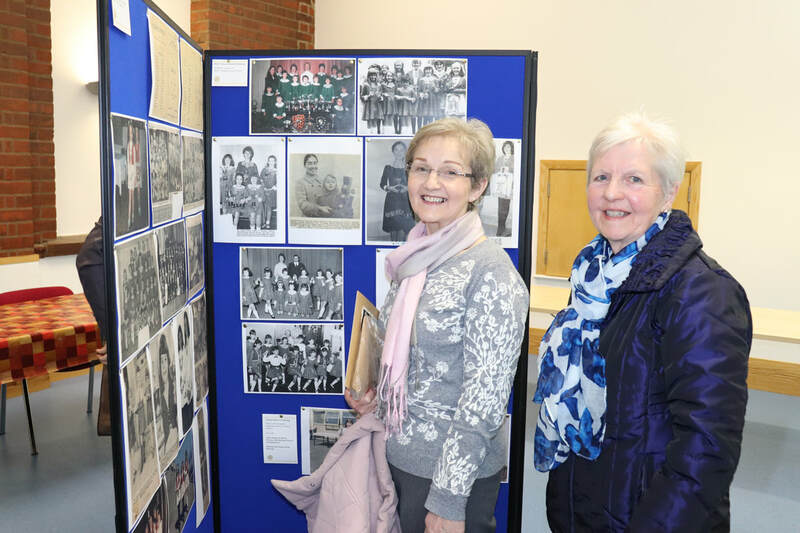 The year 2018 is the ninetieth anniversary of the Larne Irish Folk Dancing Association. Ninety years have passed since Irish folk dancing was added to the syllabus of the Larne Musical Festival for the first time. 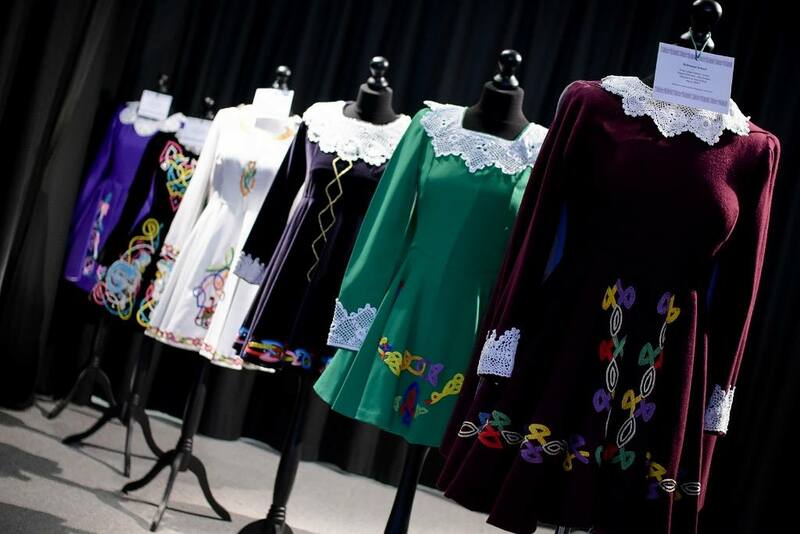 As society has changed, it's a remarkable achievement that those involved in the community of Festival Irish dancing have been able to keep the festival tradition alive. 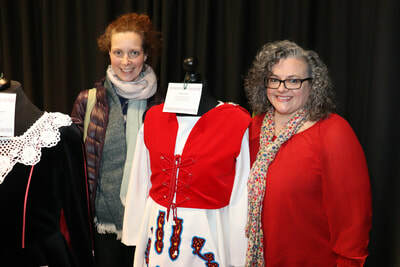 One of the main attractions was the costume exhibition by Leslie Baird, who has collected dozens of festival dresses from the 1930s to today. 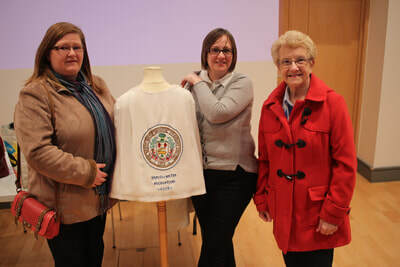 He was missing the Ashley Dancing Club dress from Ballyclare, and as a result of the community created around this exhibition, he was able to locate a donation. Thank you to all involved. 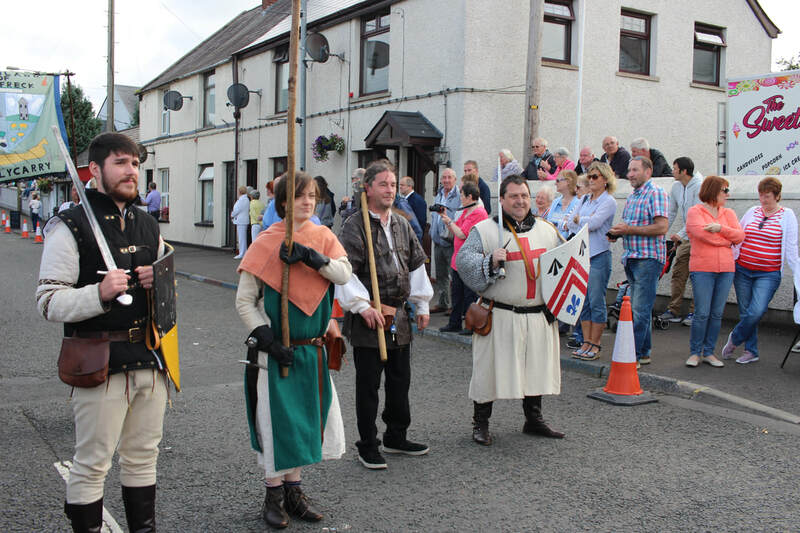 The exhibition will be moving to Ballymena in 2019 and Carrickfergus in 2020. 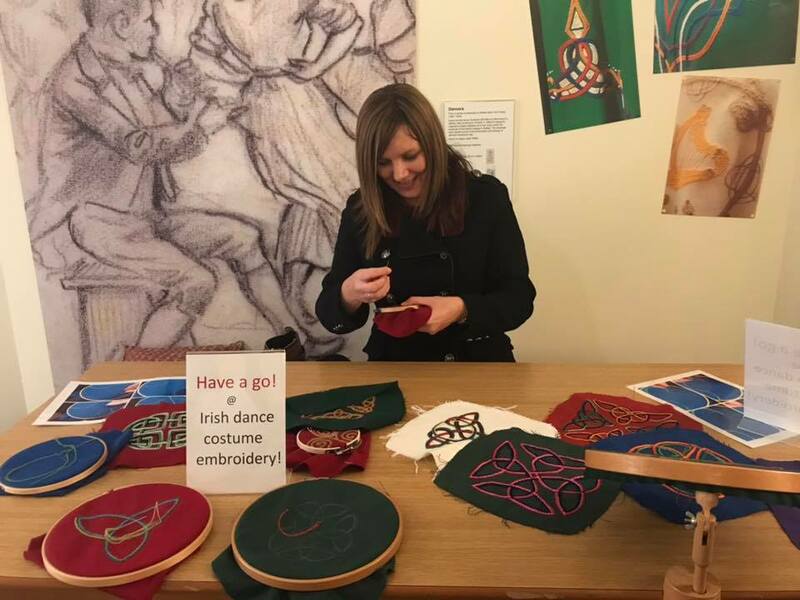 Thank you to Elaine Hill from the Braid Arts Centre for organising the Irish dancing talk on Tuesday 28th November. I think everyone present would agree that the star of the evening was Rose Murray, veteran dancing pianist. Rose was only a toddler when she danced in a 1942 variety show in Ballymena and she stole the show that night as well! 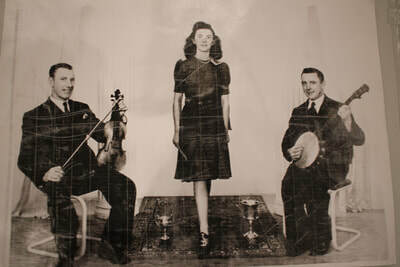 Rose's big sister was Lily Agnew, Irish dancing champion of the festival tradition. 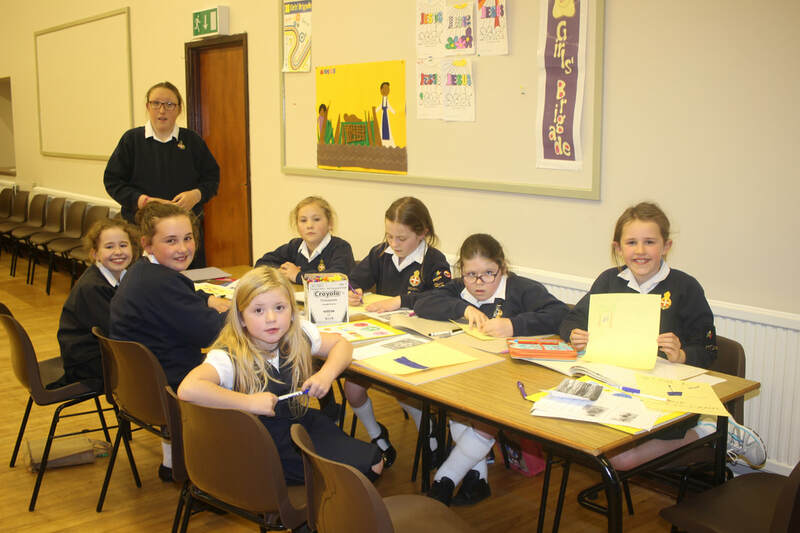 When Iris from Cairncastle Girls Brigade heard some of her juniors talking about a certain book they had read in school, she got in touch and invited me in to speak to the girls and help them with their scrapbooks. What a lovely trip down memory lane for a former GB girl. Good luck with your badges, girls! Then it was off to Lorne, a baronial style house situated between Holywood and Bangor. 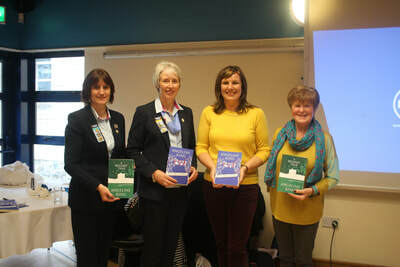 The Friends of Lorne is a group of former Girl Guides and I attended their meeting as a guest speaker to talk about my upcoming Irish dancing book. 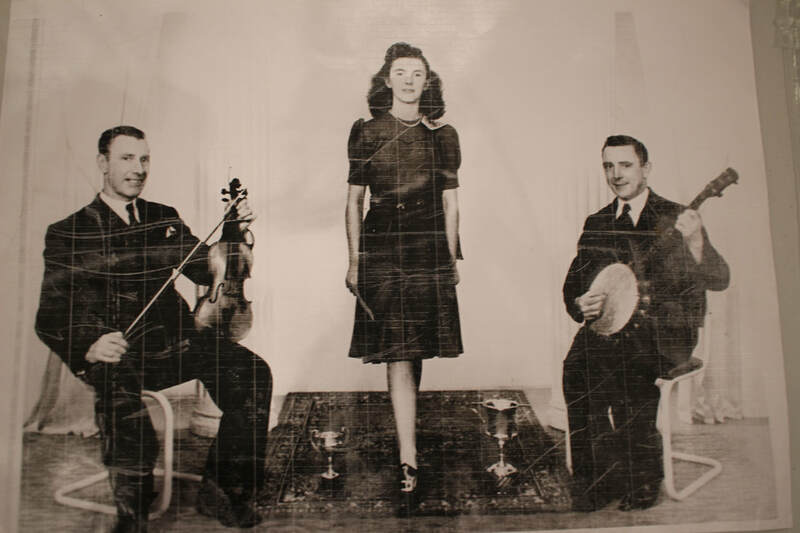 The Girl Guides used to have a very strong connection to Irish folk dancing and it was fascinating to speak to so many dancers from the 1940s and 1950s. 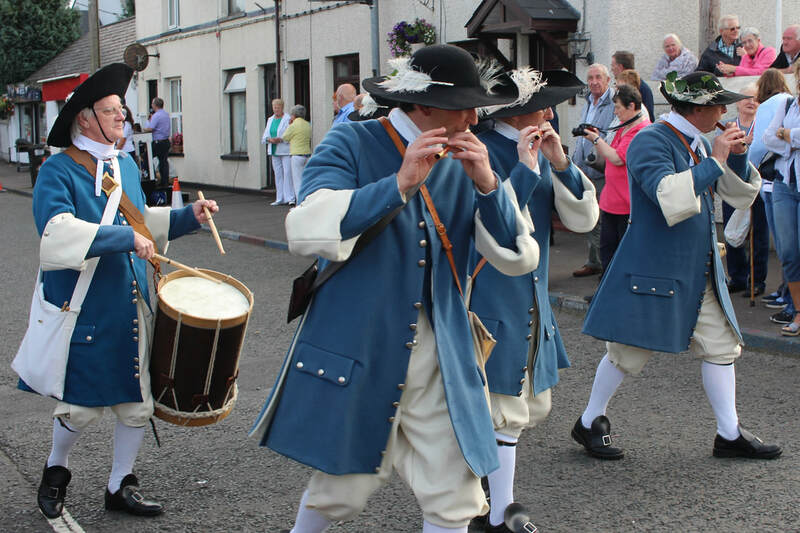 The end of summer is never dull when it's marked by the Broadisland Gathering. I love Ballycarry for all its sense of history and poetry, and as I practised reading some poems in St.John's church overlooking the lough, I thought about my own ancestors, my great grandmother Eliza Rossborough (nee Templeton) and my great great grandmother Isabella Templeton (nee Kane.) They were from that triangle of bounteous scenery that includes Magheramorne, Islandmagee and Ballycarry. Cannae wait for next year! 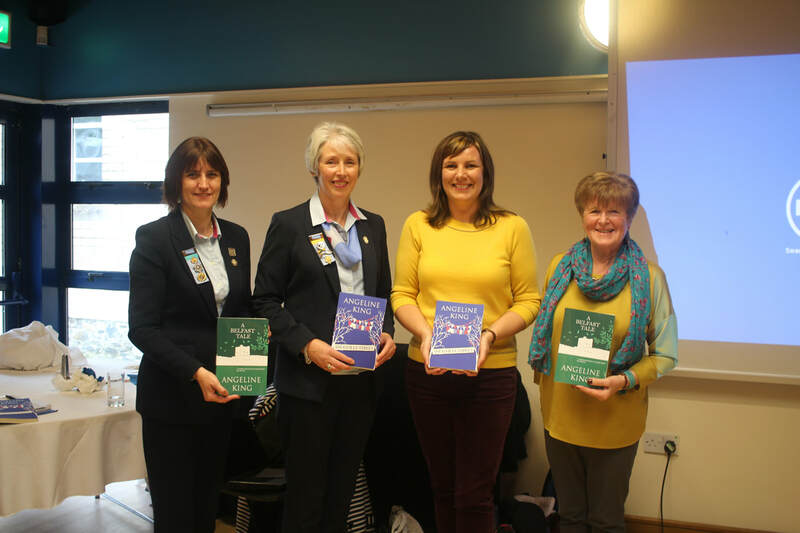 Thank you to the Discover Ulster-Scots centre for hosting an author night for me on 29th March. 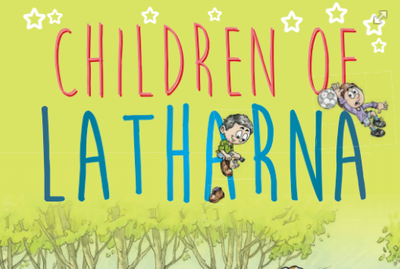 I love seeing the smiles on faces when I read from Children of Latharna to the "big weans!" March 2017 was wile busy! 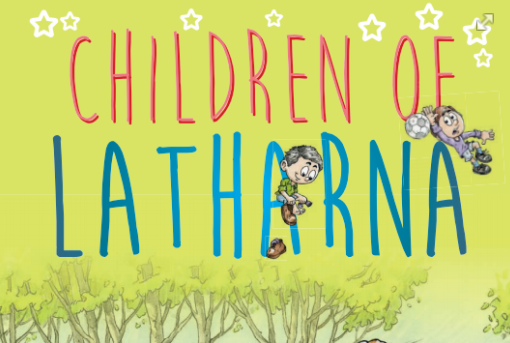 Library NI events, a fun-packed Women Aloud NI schedule & launch activities for my new book, Children of Latharna! It's was wile busy! See more below! Friday 3rd March: Children of Latharna was lifted fresh from the press and taken to Moyle Primary School for their World Book Day celebrations. Thanks for having me Moyle Primary School P6s and P7s! 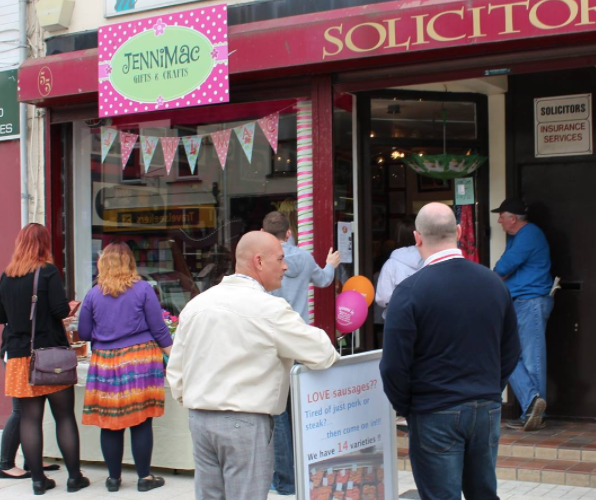 Friday 3rd March: Thanks to Jenni Mac on Larne Main Street for facilitating a book signing for Children of Latharna! 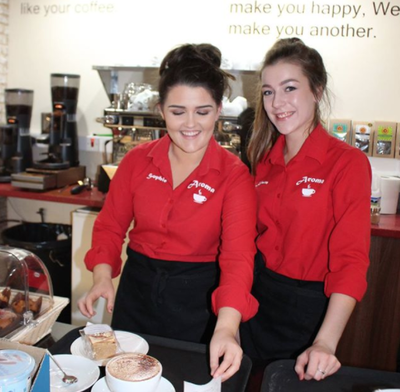 Saturday 4th March: Thanks to The Aroma Coffee House in Larne for the book signing opportunity and to all the youngsters who enjoyed a reading of Children of Latharna with their ice-cream! Monday 7th March: What a great night reading from Snugville Street at Newtonbreda Library, Belfast for the Libraries NI Emerging Authors event! 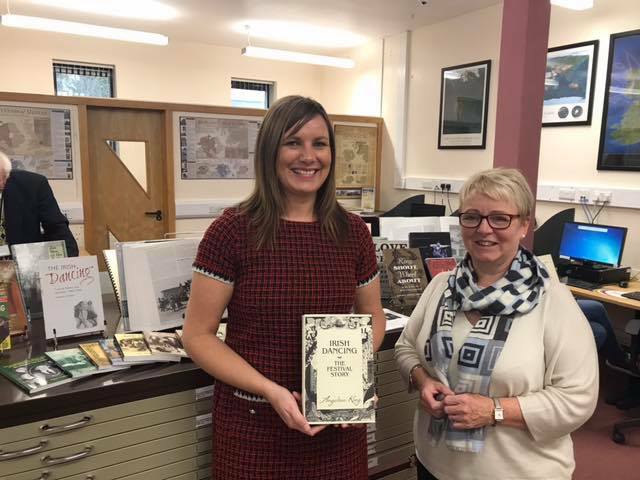 Thanks to the library and the other authors Lesley Allen and Helen Nicholl. Tuesday 7th March: Thanks to Banbridge Library for the warm welcome on the Libraries NI Emerging Authors tour. 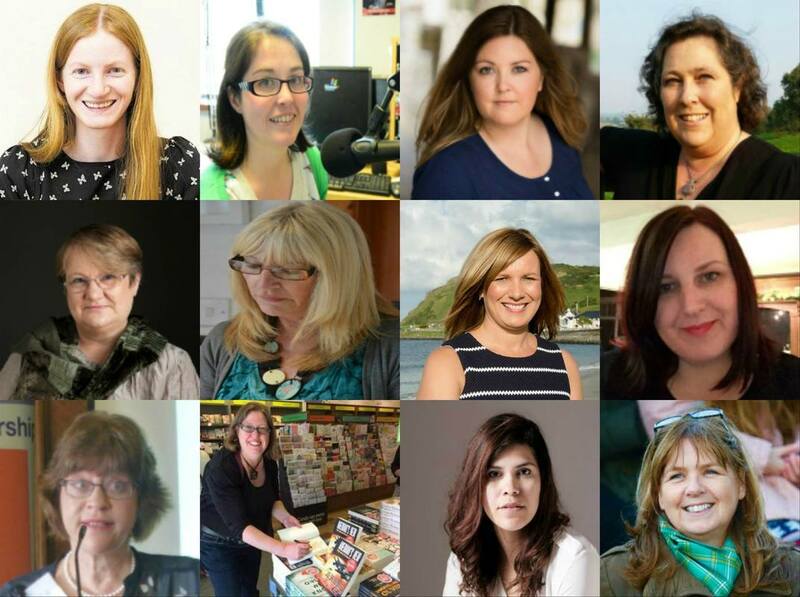 Wednesday 8th March: Did you spot any multi-talented Women Aloud NI authors in Belfast city centre? Thanks to Jane Talbot, author of The Faerie Thorn & other stories and all the other Women Aloud NI authors for a great day of readings around the city. 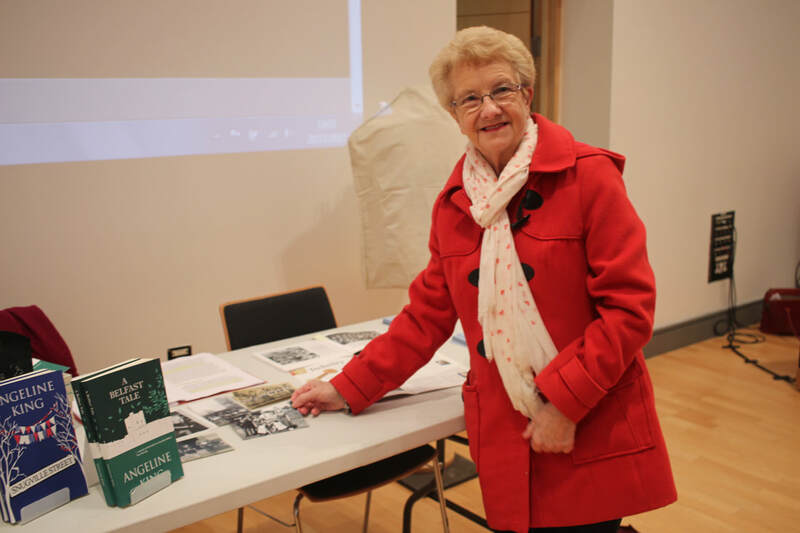 Thursday 9th March: It was a short walk to Larne Library for the Libraries NI Emerging Authors event with authors Lesley Allen and Helen Nicholl. 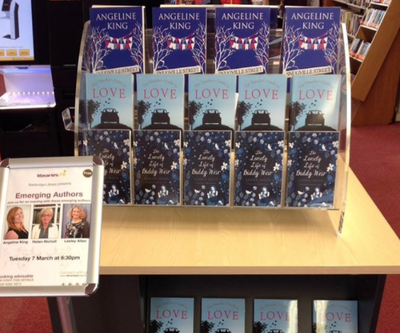 Thank you to the team at Larne Library for a lovely evening. 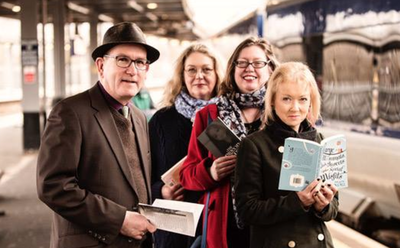 Saturday 11th March: A fun packed day with Women Aloud NI, including readings on the Enterprise train to Dublin (and a good giggle) and a day with Dublin's literati at the Irish Writer's centre. 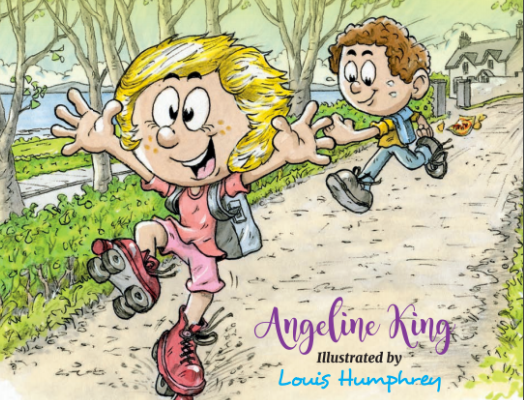 Loved reading Snugville Street in Dublin.Thanks to all involved! From 6th- 9th November 2016, I had the great fortune to take part in the inaugural John O’Connor Writing School and literary arts festival, a three-day festival hosted in some of Armagh’s most historic, graceful and inspiring buildings. The festival in John O’Connor’s name is intended to celebrate, Come Day Go Day, a novel filled with beautiful Ulster dialect and close up stills of Armagh life. Thank you to the organisers for including me and to all those who made me laugh as I read from Snugville Street. 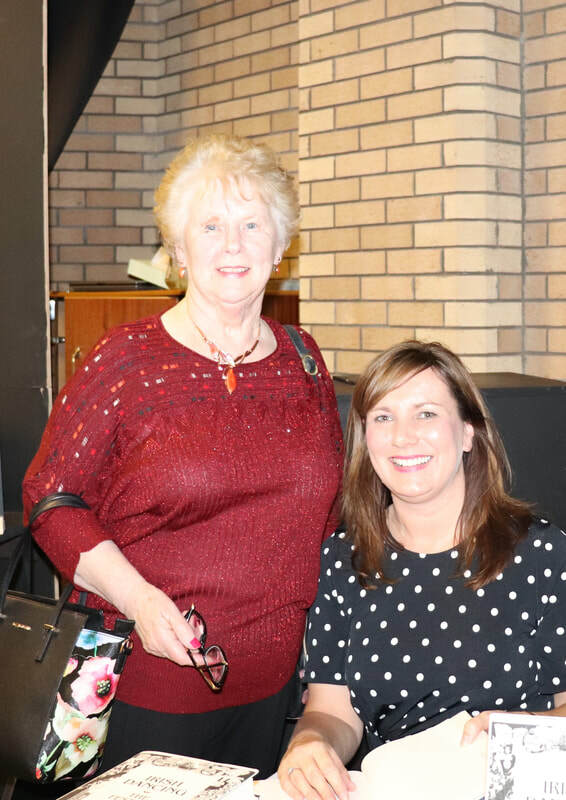 A fantastic evening of song and literature to mark the creativity, past and present, in Ballycarry. Lots of laughs from presenter, Jim McGarry, readings from local writers, readings from the great works of "the Bard of Ballycarry", James Orr, and Ulster Scots music and song. 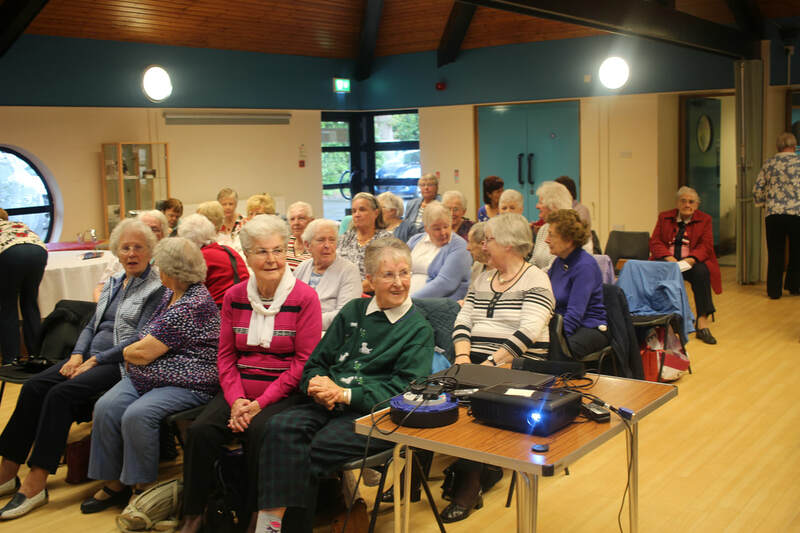 Reading Snugville Street and Bully up the Brae to this audience was a pleasure! 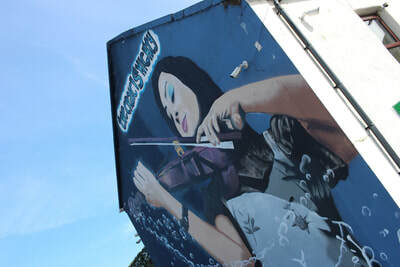 Duncairn Arts Centre sure is Belfast's spiritual centre for the arts. I would encourage anyone who hasn't been there to have a look around. It was a pleasure to meet Glen Patterson and Kevin Higgins in this Féile an Phobail event, to read a comical passage from Snugville Street and to hear about all the schemes to encourage people in marginalised areas to engage in reading and writing. This seminar revolving around the portrayal of Ulster Protestant in Irish Literature raised some interesting questions in the Shankill area of Belfast, where guests discussed how difficult it is to find positive role models in fiction from their community and how hard it is to encourage young men from the Shankill to read and write. Thank you to Tony Macaulay for reading from Paperboy and Breadboy. 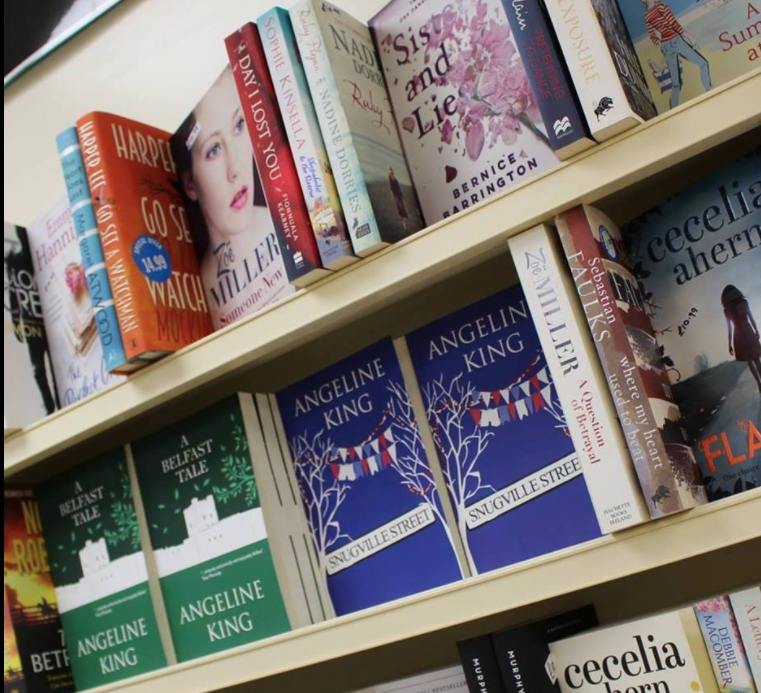 Protestant shame in Irish literature was a theme of this thought-provoking evening. Great readings from Tony Macaulay and a chance to showcase my own novel, Snugville Street. 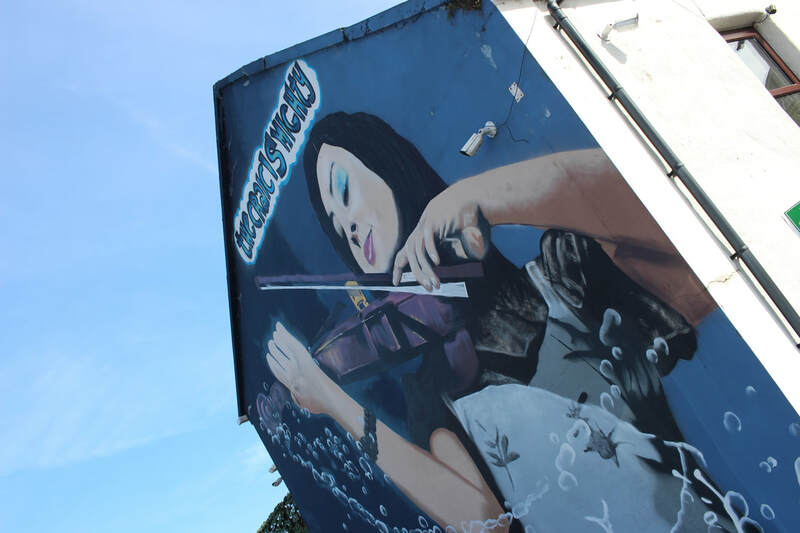 The Latharna Creative Collective is a collective of Arts professionals in the Larne area. On Saturday 14th May, an array work from many creative people was on display, from top fashion designers through to new fiction authors. 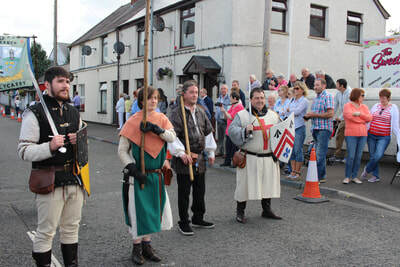 There was a hearty Larne welcome for visitors to the beautifully renovated Market Yard. All in all, a fitting occasion to launch my new novel, A Belfast Tale. Tuesday 8 March was truly a date to remember for Northern women, as authors and poets gathered together under the umbrella of Women Aloud NI to celebrate their literary endeavours and to raise the profile of female writers. There were tears of laughter (from me!) as I read from Snugville Street to a lively and welcoming audience in to The Playhouse. Thank you to all the organisers. Would you like me to visit your organisation? If so, complete the form below.